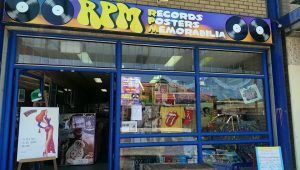 RPM – Records, Posters, Memorabilia | Sydney’s Coolest New Place for Vinyl and more! The history: RPM Records started from a dream of “One day opening a record shop” to having an awesome opportunity presented to me in June 2015, to partner with a former major music promoter, to represent his collection, made up of items as far back as the 1980’s, many rare one of’s and signed collectables. We are the ultimate destination for music lovers. We have a large amount of Vinyl, CD’s, DVD’s, also Music Posters, Books, T-Shirts, and an impressive collection of Framed Vintage Music and Sports Memorabilia for sale. Something for every taste and budget.